The Institute for Women’s, Gender, and Sexuality Studies and the Department of African-American Studies present an upcoming lecture by Dr. Rinaldo Walcott, “Funk: A Black Note on the Human,” on Monday, October 19, at 4:00 p.m. at 25 Park Place, Room 830. This lecture is also co-sponsored by SPEAK and Faces of Feminism. Dr. Walcott is Chair of the University of Toronto’s Women and Gender Studies Institute. 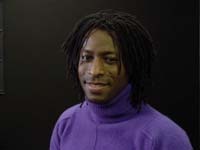 As an interdisciplinary scholar Walcott has published on music, literature, film and theater and policy among other topics. All of Walcott’s research is founded in a philosophical orientation that is concerned with the ways in which coloniality shapes human relations across social and cultural time. In all of Walcott’s research and publication he focuses on Black cultural politics; histories of colonialism in the Americas, multiculturalism, citizenship, and diaspora; gender and sexuality; and social, cultural and public policy. (from WGSI website). His current project is Beyond Blackness: ‘Other’ Canadians and the Re-making of the Nation. “A Tribute to Amiri Baraka (aka LeRoi Jones),” Canadian Dimension, 48, no. 5 (September/October 2014): 43-44. “Reconstructing Manhood; or, The Drag of Black Masculinity,” Small Axe, 13, no. 1 (2009): 75-89. This entry was posted in African American Studies, Books, For Faculty, For Graduate Students, For Students, Music, Women's, Gender, and Sexuality Studies and tagged black studies, funk, lecture, popular music. Bookmark the permalink.